Josh Maja's transfer to Bordeaux was confirmed yesterday, what a perfect opportuntiy to debut our new Fan Panel - the WAWFP! If you're interested in joining in, just click here or send us a message on Twitter or Facebook. We started off with a simple poll around the fee we have received for Maja. The total fee is said to be £3.5m, with £1.5m up front - though the waters are a bit muddy given we still owe Bordeaux some coin from the Wahbi Khazri transfer. However, our panel was very split. We ask whether the fee was higher than expected, lower than expected or just right and each option got some backing. So, for a more conclusive result - we'll put it to you lot too. Don't forget to vote in our poll at the bottom. How do you expect Maja's career at Bordeaux to pan out? This was an interesting question and opinions were varied from our panel. We've included a couple of quotes below from Mark and Staffan which are the opposites of each other. 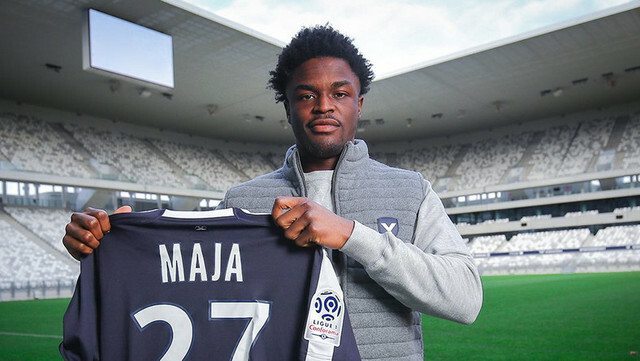 Personally I think Maja is good enough to do well in the French league and, given the quality and pace of it, I think he'll progress really well. It could be a really good career move for him, if he gets a fair crack in the first team. What are your overall thoughts on Maja leaving and the impact that has on our season? All of our panel agreed that signing a quality forward is imperative to Sunderland achieving automatic promotion, which I think is difficult to argue against. Charlie Wyke doesn't have enough goals in him and, with our wide players also struggling to regularly find the net, we've relied heavily on Maja to score. Hope you enjoyed this new feature which will be about a lot more often. We want to grow the WAWFP to accumulate a stretch of opinions about Sunderland, so if you want to join in just click here or send us a message on Twitter or Facebook. What do you make of the free we received for Josh Maja?